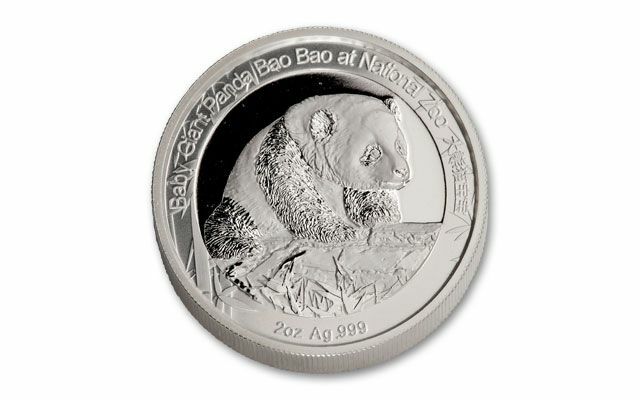 The birth of Bao Bao in 2013 was met with cheering crowds. 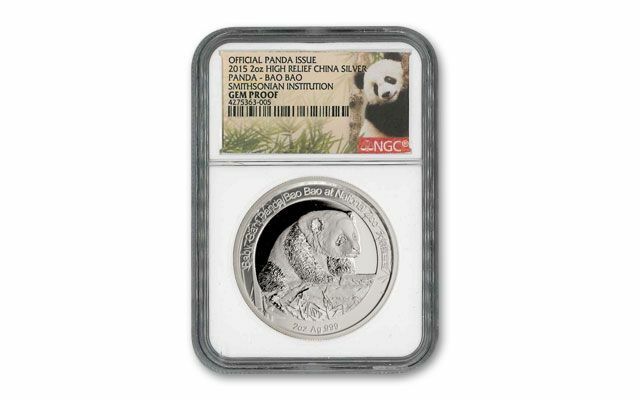 Since then, the giant panda cub has become quite the sensation around the world. 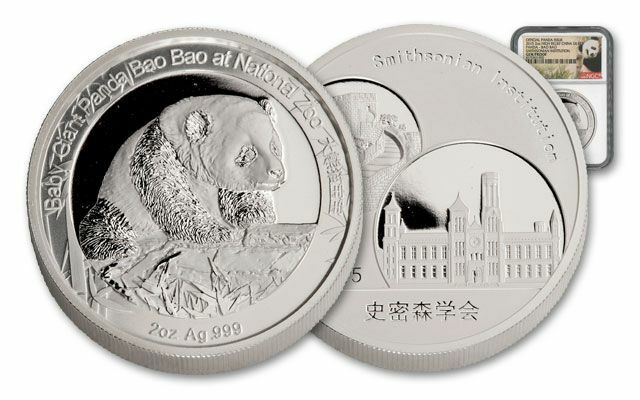 The China Mint has honored this special cub with a proof of her own - each is struck in two ounces of 99.9% pure silver. 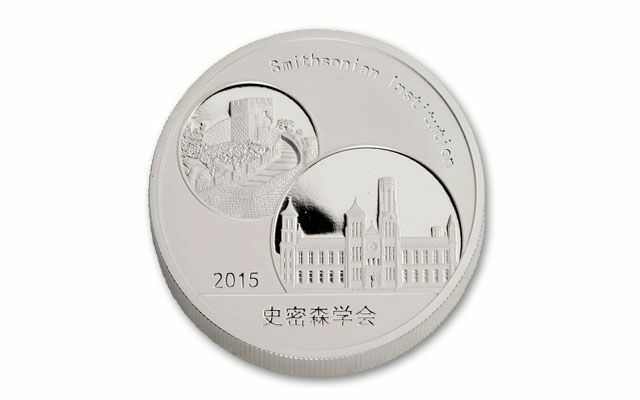 The reverse shows her exploring the habitat she calls home at the Smithsonian's National Zoological Park, and the obverse reveals the Great Wall of China and the Smithsonian Castle in Washington D.C. Order now to secure this limited edition proof before they vanish from our vault!